Cumulating the Tarantulas of the World poster series, this revised poster contains over 20 new species and 45 new images in the biggest update to the series ever! 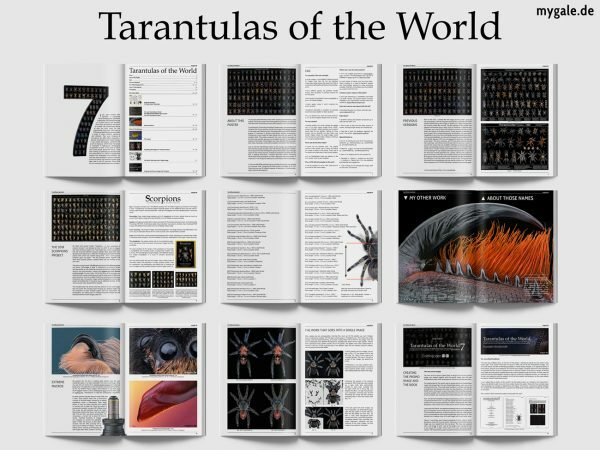 Featuring over 100 images and over 90 different species of tarantulas in stunning high-quality stacked photography. It’s the biggest and most detailed tarantula poster ever made, featuring a whole new production concept for the first time. 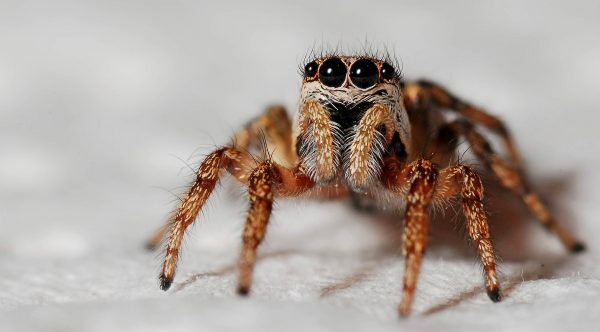 Artist Julian Kamzol, better known as mygale, is one of the most well-respected photographers of insects and arachnids in the world, with a huge following amongst the hobbyist and scientific communities. His works have been shown as part of trade shows, scientific demonstrations, and even museum exhibits. ArachnoGear has partnered with mygale to make his work available for purchase, as a special offering on our site known as The mygale Collection. A significant portion of sales goes back to mygale to help fund further research and photography. 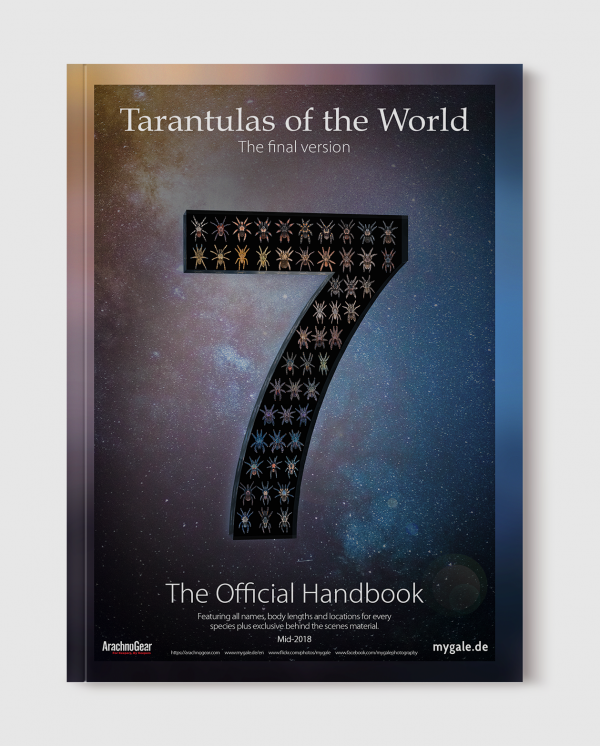 This is the new Tarantulas of the World poster! The new mid-2018 update brings you another five entirely new species on the poster itself, increasing the total number of images up to 107! Featuring now over 95 different species of tarantulas in stunning high-quality stacked photography. Furthermore, every image has been edited and edited again down to the smallest pixels of dust. This poster represents the most colorful tarantulas in the best way possible, giving you an excellent overview of the different species in the hobby. It’s the biggest and most detailed tarantula poster ever made, featuring a whole new production concept for the first time. Like on the last Poecilotheria poster, all new images are stacked and have the best quality possible, shot with the best camera gear available. This poster is printed on premium poster paper at 350dpi, which results in crystal clear quality printing. 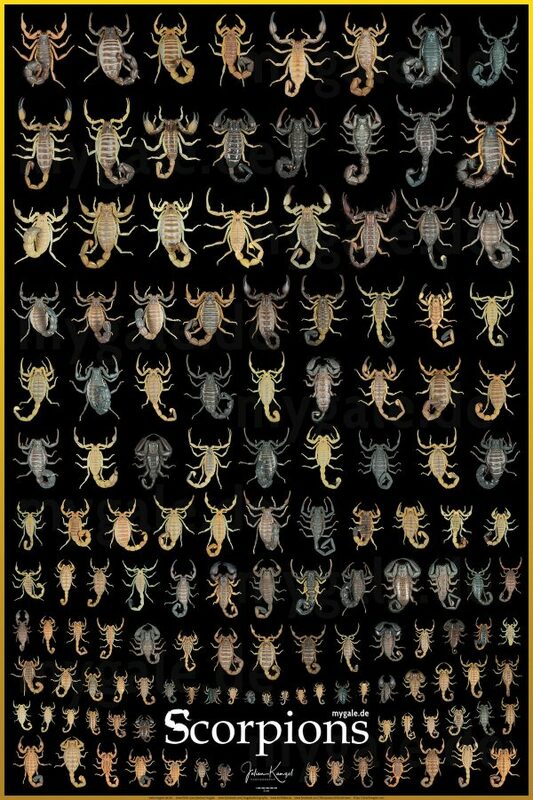 The species names are now included in a separate handbook that is available to download once your order has been shipped, also featuring tons of information about the history of this poster series, its production, and tons of other original photography from mygale. If you are looking for a tarantula poster, look no further, you have found it. The most discerning and active hobbyists, scientific labs, universities, museums, zoos and other tarantula-friendly places have purchased and proudly display this poster. It has also been featured on the Tarantula Keepers and Midwest Fang Gang Facebook groups, along with famous YouTube presenter The Dark Den. Please note that the book is only available via electronic download. This is accessible from your account after your order has been fulfilled. 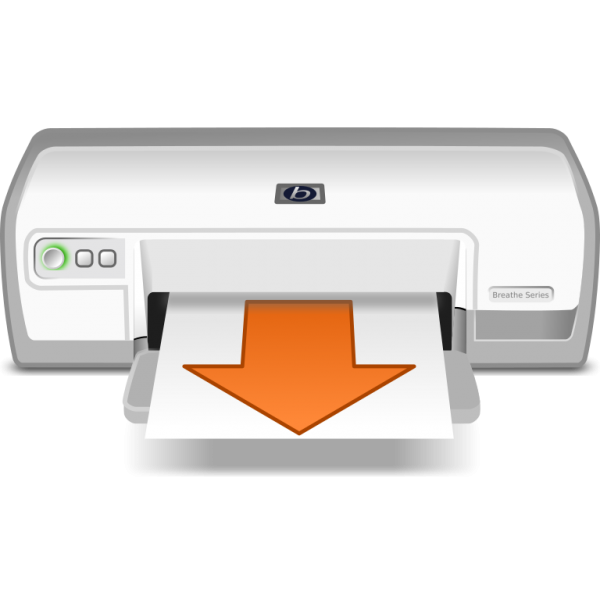 This is to reduce product and shipping costs.